Variegated wood serving piece on biscuit feet that stuns with a scalloped and straight line metal inlay. Ten inches square. 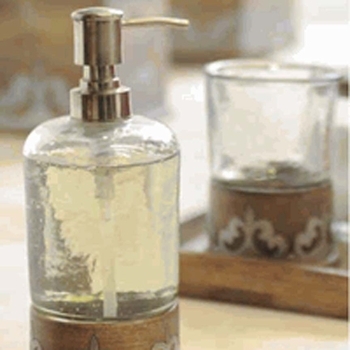 Exquisite wood and metal inlay shine in this stunning bath collection.